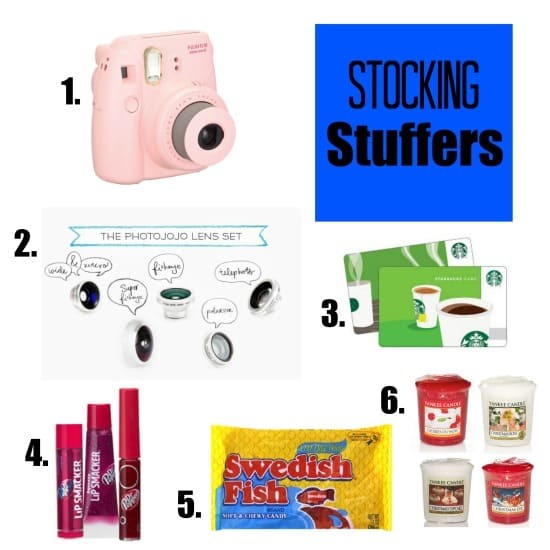 This year I wanted to share a few of my favorite items that we either have in our house or have on our holiday Christmas list. 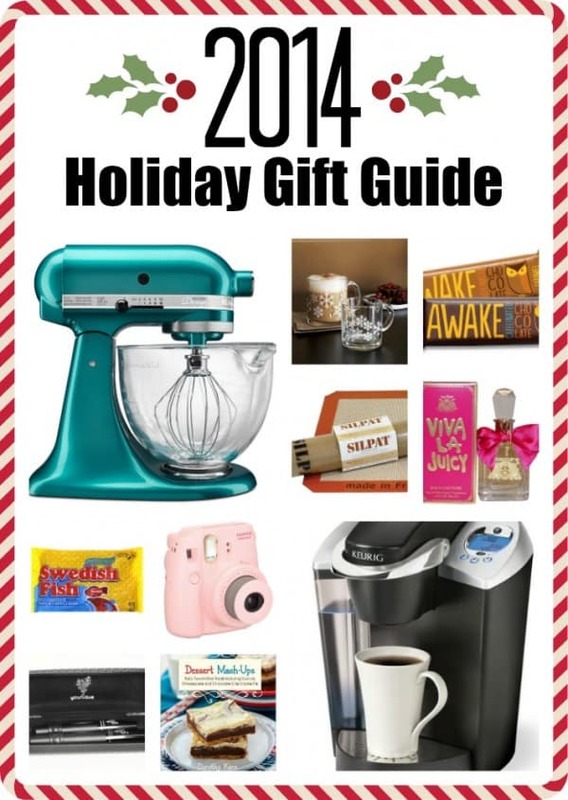 On our 2014 Holiday Gift Guide I have included links for you to shop for these items if you think someone in your life would love them too. 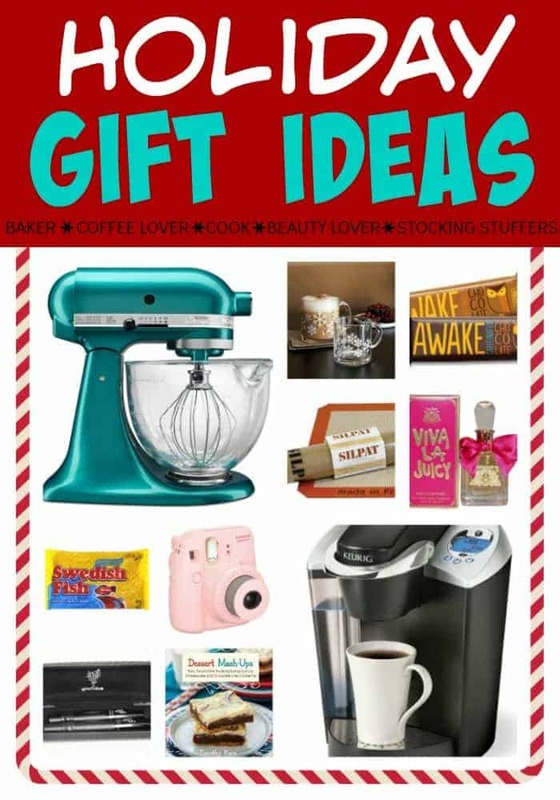 Grab a cup of coffee and let’s get shopping! : I love using these baking mats. They keep cookies and scones from sticking or spreading too much. : My husband surprised me with a stand mixer over 10 years ago, and now I use it all the time for just about everything. On my wish list this year it this gorgeous 5-Qt. with glass bowl. 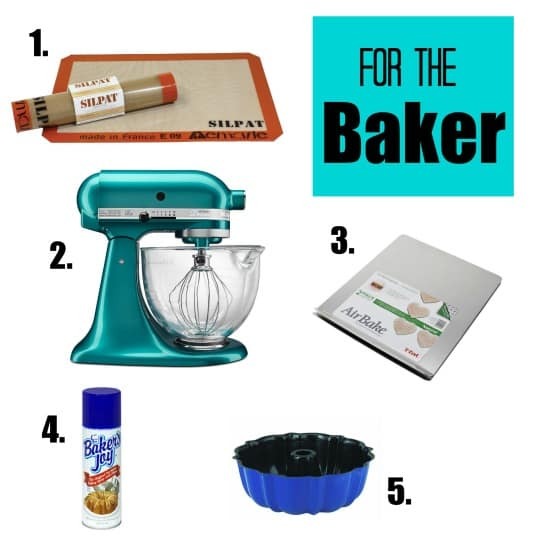 : When I am not using a Silpat, my go to baking sheets are these Air Bake Sheets. I got 2 of them for a wedding present, and we still use them all the time for cookies and crescent rolls. : When I am baking a cake or bread, I always reach for a bottle of this Baker’s Joy. It is a mixture of flour and grease in a spray bottle, and it is amazing. My bundt cakes never stick to the pan. I also love using it on my hands when I am rolling cookies. : I have this bundt pan in red, and it is probably my most used cake pan at the moment. I just love making new flavors of cake in this fun pan. : My husband and I love this machine. 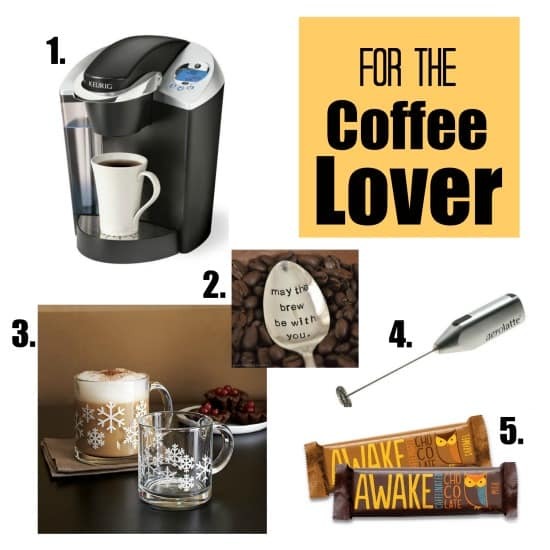 We can brew a cup any time of day without wasting extra coffee. There are size options for different mugs. 2. May the Brew Be With You Spoon from Jessica N Designs: She has so many fun coffee spoons to choose from. My husband is a huge Star Wars fan, so this is a must this year. 3. Snowflake Glass Mugs from Crate and Barrel: I love how pretty the lattes and coffees look in these clear mugs. The snowflake pattern is perfect for this time of year. 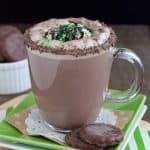 : Adding a pretty layer of froth to your coffees and cocoas is as easy as pushing a button. I have been looking for a small milk frother that is inexpensive, and this one looks like it will work great. This is definitely on my list. 5. Awake Caffeinated Chocolate: I found these candy bars at Meijer. These chocolate bars have as much caffeine as a cup of coffee making them perfect for when you need an energy boost. My favorite was the caramel…are you surprised? : This is one of my favorite small kitchen gadgets. My husband bought me one a few years ago, and I use it all the time. The angled cup makes it easy to see your liquid measurements from above. : Another one of our favorite appliances is this small blender and chopper. We use it all the time to chop nuts, cookies, meat, and salsa. The cups also come with lids, so they can go right into the refrigerator if you have extras. : This appliance is one that we use quite often. We make pancakes, waffles, paninis, quesadillas, and grilled cheese on this. It is used so often that we now leave it out on top of our stove. 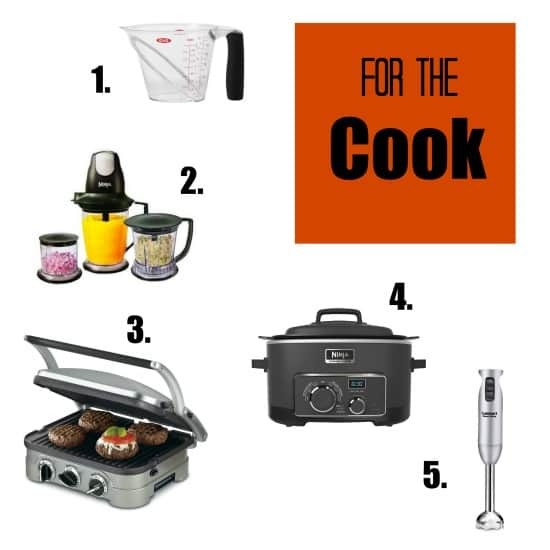 : Last year we started using this cooking system, and it is one that we use quite often now. You can roast meat, fry potatoes, scramble eggs, and stir fry veggies. 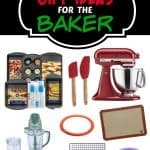 : Another great small appliance that comes in handy from time to time. We use ours to make salsa and to cream soups. 1. Hot Pink Agate Necklace from DolceAve Etsy Shop: I am loving this fun stone necklace. Each stone slice is different and unique making this a fun statement piece to wear. 2. Ephiphanie Cobalt Charlotte Camera Bag: This gorgeous blue camera bag has plenty of pockets for your camera, laptop, and everything else you need to carry. 3. Younique 3D Fiber Lashes: I have the shortest stubbiest lashes, so I am always looking for mascara that enhances my lashes. I found Younique fiber lashes, and I am completely sold on them. They make my short lashes look long and thick. 4. Root Pretty Mineral Make Up: I recently tried this mineral make up, and I am a big fan now. I love that it is made with natural ingredients. The powder foundation can be applied wet or dry for more coverage. I just ordered more products and the pink Pretty Blender sponge. I can’t wait to try more! : This has been my go to perfume for the last couple years. I love the mix of berries, flowers, vanilla, and more. It is a fun and crisp smell for sure! by Dorothy Kern, Crazy for Crust: Two desserts are always better than one. But baking them into one amazing treat is the best way to do dessert. This book will show you how to mash 2 of your favorites into one glorious treat. 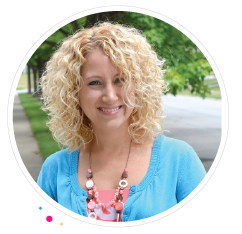 by Christy Denney, The Girl Who Ate Everything: Appetizers, dinners, desserts, and so many more recipes will have you drooling in this book. Easy to help tips and amazing photography. 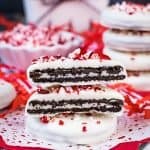 by Lizzy Early, Your Cup of Cake: Want to make out of this world treats using cake mixes? 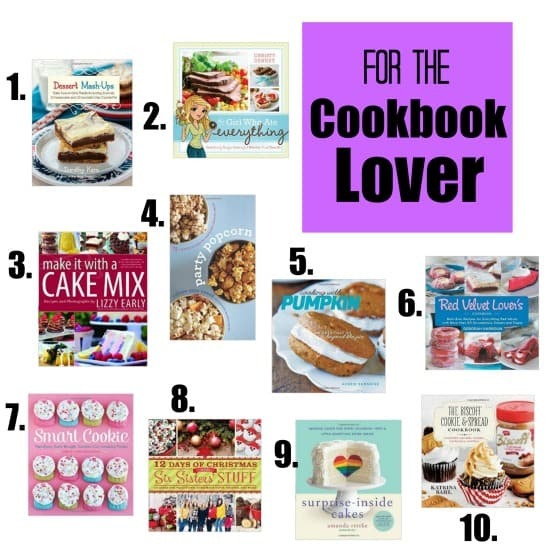 This fun book will show you how to do cakes, cookies, and so much more from a mix. 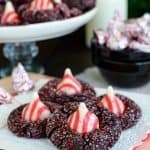 by Ashton Swank, Something Swanky: Transform popcorn into sweet, savory, holiday, and kid friendly with this fun snack mix book. by Averie Sunshine, Averie Cooks: Pumpkin isn’t just for pies. See how many different treats and dishes you can create using the orange squash. by Deborah Harroun, Taste and Tell: Every single recipe in these book showcases how you can make red velvet into so many desserts and dishes. 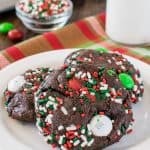 by Christi Johnstone, Love From the Oven: Learn how to take cookies from the store and transform them into adorable and easy to make treats. by Six Sisters’ Stuff: There are so many holiday recipes and crafts in this amazing book. 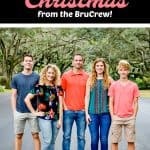 Make sure to check out the fun traditions and decorating ideas too. by Amanda Rettke, I Am Baker: Learn how to make stunning cakes with fun surprises inside with this gorgeous cookbook. by Katrina Bahl, In Katrina’s Kitchen: A whole book full of fun recipes using cookie butter. This is the perfect book for you if anyone in your life is allergic to peanut butter. 11. 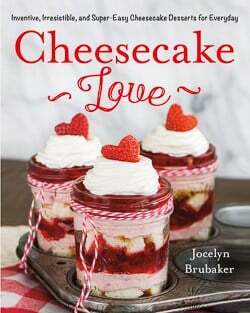 Cheesecake Love by Jocelyn Brubaker! An entire book devoted to all things cheesecake! Learn how to add cheesecake to brownies, pies, jars, and even breakfast!!! : This little camera takes credit card sized pictures instantly. It is the cutest little pocket polaroid. I have one, and my kids love to see the photo appear on the camera paper in seconds. 2. Cell Phone Lens Set: These little portable lenses are made specifically for cell phones. Now you can take great photos without carrying the big camera. 3. Food Giftcards: You can do a variety of different places like coffee shops or restaurants. 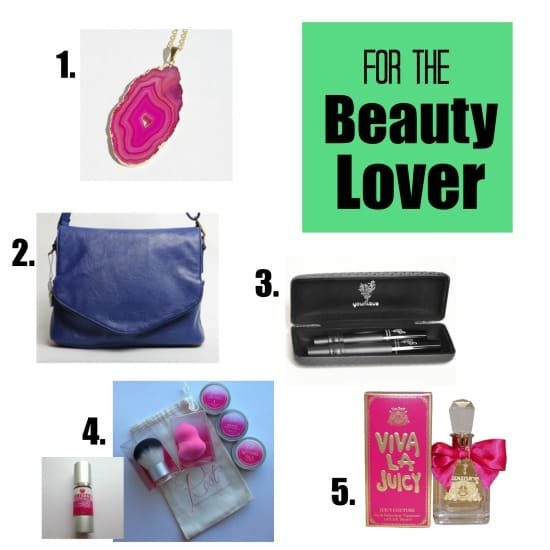 : I am a Dr. Pepper fan, so I almost always have this fun lip gloss in my purse. : These chewy gummy fish are a favorite with everyone in our house. Every year we buy a big bag for my husband’s stocking. 6. Yankee Candle votives: These small candles are perfect for filling up the stocking. They come in a variety of colors and scents. *Inside BruCrew Life is a participant in the Amazon Services LLC Associate Program. We may receive a small percentage from sales made through these links with no added cost to you. Thank you for helping to support us and for letting us continue to provide free recipes for you.